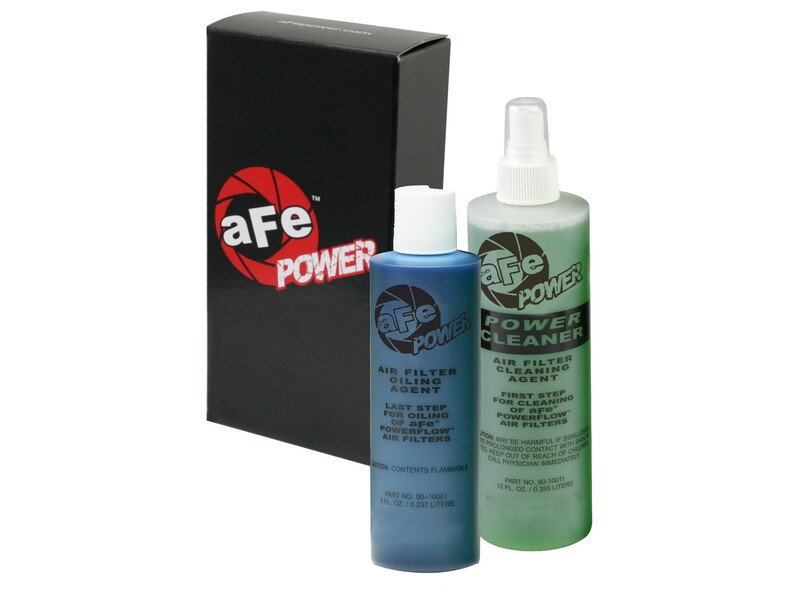 The aFe filter restore kit comes with a squeeze bottle of aFe blue filter oil and a spray bottle of aFe filter cleaner. aFe filter oil is highly refined and helps capture the smallest debris. Recommended re-oiling every 20-30k miles. Please do not over oil the filter, please see instructions below.